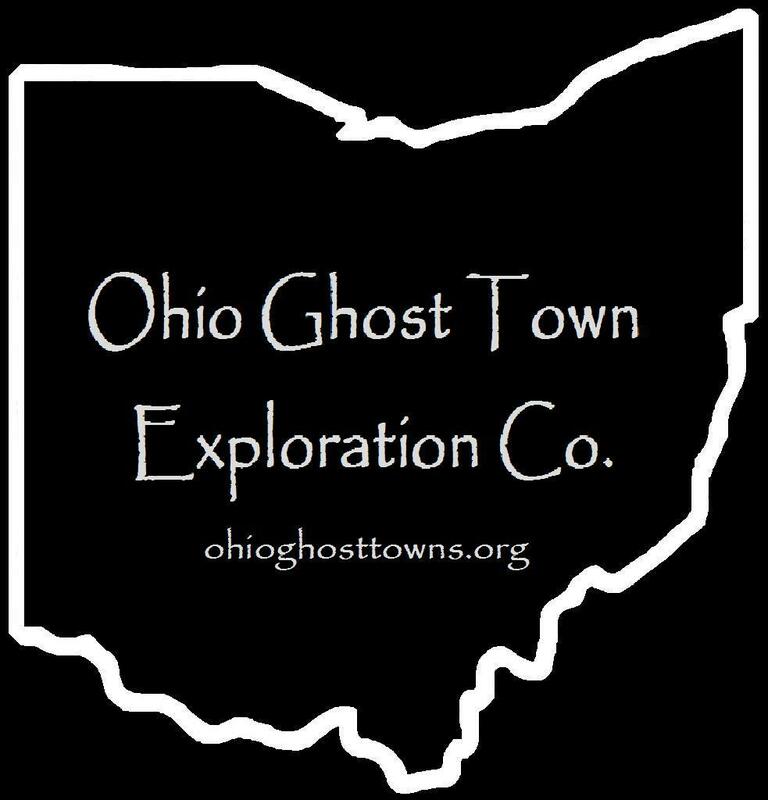 Monroe County – Ohio Ghost Town Exploration Co. Description: The town was platted in 1846 by Thomas Cochran Jr. (1799 – 1864) & Mary Ann (McEldowney) Cochran (1804 – 1883). They married in 1828 & had a few children. The post office was originally called Cochrans Landing from 1846 – 1858. It went by Centre View from 1858 – 1893, then Center View from 1893 – 1894, & lastly Centerview from 1894 – 1905. That name came from its position in the middle of a 20 mile straight stretch of the river. The plat outline of Cochransville can still be seen on satellite maps & contained 11 lots in the 1898 county atlas. Thomas & Mary were buried with relatives in Carson (Cochransville) Cemetery on the north side of SR 7 about 1/2 mile west of Township Hwy 532 across the border in Grandview Township, Washington County. As with many ghost & current towns in Ohio, the founding families & prominent landowners intermarried. One of the Cochran daughters, Elizabeth, married Joseph Witten. The town of Wittens in Jackson Township had a post office from 1833 – 1907. Carson Cemetery is on land that was owned by William Carson (1833 – 1924) & Elizabeth (Jolly) Carson (1828 – 1884). Brownsville in Benton Township had a post office called Jolly from 1842 – 1916. On top of all of that, Friendly, West Virginia, across the Ohio River from Cochransville was founded by Friend Cochran Williamson (1838 – 1908) who was also related to the Cochrans. It may seem confusing & overwhelming sometimes, but the deeper you dig on genealogy & the more you sort out the details, it all eventually makes sense & the many colors on the pallete paint an interesting picture of early pioneer life in Ohio. Description: Cross Keys had a Methodist Episcopal church at the cemetery on land owned by Seth Adams (1849 – 1876) & Mary Jane (Humphrey) Adams Betts. They married in 1869 & had a few children. Seth died at 26 years of age & Mary Jane later remarried. The town also had a school on the southwest side of Hopewell Ridge Rd near the intersection of T64. It was on land owned by Reverend Anson Roach (1842 – 1909) & Preshia (Edwards) Roach (1850 – 1938). Anson & Preshia were buried with relatives in Moose Ridge Cemetery on Moose Ridge Rd in Center Township. Description: In December of 1839, A Mr. Johnson introduced notice of a bill to change the town name of Van Buren to Fair Pleasant at a meeting of the Ohio House Of Representatives. The bill was ratified and the act was passed on January, 20, 1840. Fair Pleasant was listed in the 1843 A Table Of Post Offices In Ohio as a discontinued office in the county. The location might currently be in Noble County which was formed in 1851 from parts of Monroe, Morgan, Gurensey & Washington Counties. Dyes Settlement, for example, listed as a ghost town in Monroe, is present-day Renrock in Noble. Description: Hope Ridge had a church & school & was founded by Irish immigrants Reverend John Clingan (Clinghan) (1783 – 1858) & Mary Clingan (1787 – 1865). They were buried with relatives in Hope Ridge Cemetery. Some other big surnames from the area are: Burkhead, Donnely, Ford, McFadden, Rouse, & Wittenbrook. Description: The proprietors were Thomas Jerles (1851 – 1935) & Mary Jerles (1851 – 1924). Thomas was the town’s postmaster. Jerles also had a school on the east side of Bean Ridge Rd & a church on the east side of SR 145, both north of the GPS coordinates. They can be found in the 1898 county atlas. Thomas & Mary were buried with many relatives in Greenwood Cemetery on W Spruce Ave in Byesville, Guernsey County. Description: John L. Jones built a mill next to the creek in the early 1800s. The town had about 15 houses & a school & 3 churches along Sykes Ridge Rd. A road crossed the creek near the GPS coordinates in the mid-1800s & headed south to Sykes Ridge Road. Lecompton was originally called Shannon. It had a school (Summit Township No. 6) on the west side of Bracken Ridge Rd north of the GPS coordinates. It was on land owned by Jacob Hamilton (1817 – 1895) & Maria (Robison) Hamilton (1817 – 1864). Jacob was a postmaster, township trustee, & a land appraiser. A Methodist Episcopal church at the intersection of SR 78 & Township Hwy 830. The town was passed up by the Bellaire, Zanesville, & Cincinnati Railroad & couldn’t compete with nearby Lewisville, which had faster growth & was rewarded with a train station. Description: It was east of Antioch. Description: As with Fair Pleasant & Perryopolis, Pleasant Fountain may have ended up in Noble County. Description: The town was on the Bellaire, Zanesville, & Cincinnati Railroad. Its proprietors were a branch of the Pryor family in the county, including George & E.N. Pryor. The name of the post office was Ethel. There was also a school (Seneca Township No. 4) east of the GPS coordinates on Bracken Ridge Rd. Description: Quarry was founded by John S. Hall (1839 – 1914) & Margaret Hall (1846 – 1914). They operated the post office & a general store on the east side of SR 260 close to the GPS coordinates. John & Margaret were buried with relatives in Hopwell Cemetery on Hopewell Ridge Rd. Description: Twilight had a school & a mill on Henthorn Rd off of Center Ridge Rd north of the GPS coordinates along Piney Fork. The mill & town was originally called Youngs Mills. A general store in the area was operated by the Taylor family. David Pierson opened a grocery store in the area in 1815. Later in 1822, he bought more land from William Henthorn & decided to name a town after his daughter, Clarinda Peirson. A post office was established in 1824 & the town had around 1,000 residents in the 1890s, but the population has been declining since then. It was at 384 in the 2010 census. The Ohio Valley River Museum is at 112 Ferry St.